What we saw in the buildup to this crisis was a very extraordinary period of international imbalances. The picture that you want to look at is probably this one. This shows 1)current account imbalances in four major regions of the world. One of them—the purple lines pointing down, showing negative—is, of course, the United States, which became a very large 2)deficit country in the course of this…the run up to the crisis.3)Offsetting, matching the U.S. deficits were surpluses in three principal regions. One NIEs, that’s the Newly Industrialized Economies, that are already at advanced country levels of income; that means Taiwan, South Korea, Hong Kong, Singapore. They all began running 4)substantial surpluses after the financial crisis of the late 1990’s, largely as a 5)precautionary measure, but they were fairly modest. The Middle East—that’s obvious, that’s the oil-rich countries. They were running large surpluses. Those have gone away, but I think they’ll come back. And the big part is developing Asia, which means Vietnam, means some of the other parts of Asia. But mostly it means you. Mostly it means China. China began running enormous surpluses—current account surpluses of 10% or more of 6)GDP. And for quite a while it was a comfortable7)arrangement for everybody. The United States got cheap money, which we could use to finance construction of houses and also high levels of consumption. China got a very large export market, was able to rely upon export-driven growth during this period; very comfortable arrangement—a little strange if you thought about it. I wrote, back in 2005, that the U.S. economy had become a place in which people made a living by selling each other houses, which they paid for with money they borrowed from China. So it was not exactly a 8)sustainable arrangement, but it was an arrangement that, for a while, seemed to work for everyone. It’s not going to work, looking forward. We’re not going to return to the days of 2006 / 2007, when all of this worked smoothly. The United States was on a great borrowing 9)spree, not just looking at nationally, but ’specially if you look at households. 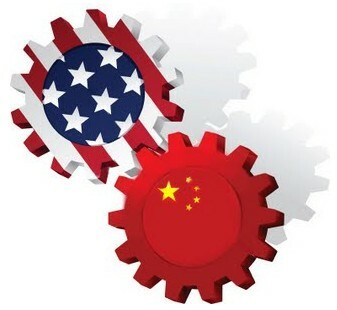 The arrangement we had between the United States and China, the 10)implicit arrangement, and we can’t do that any more; no more of that kind of borrowing. In the United States, consumers have begun to save again; the savings rate has risen from zero to four. My guess is it will keep rising ’til around eight. We always say that free international trade is good for everyone. We always say that a country that runs a trade surplus is actually helping other countries, because it’s supplying them with cheap goods. But in a world that is persistently under-employed, unfortunately, this is not true. Countries that are running trade surpluses are creating a problem for the deficit countries. This is a world in which surpluses are a “begger-thy-neighbor” policy, a policy that does reduce demand and employment in other countries. This is a world in which 11)mercantilism, which is ordinarily a great 12)fallacy, is not so much of a fallacy, and so it’s a world in which this kind of surplus becomes a real irritant. I don’t know how this is going to play out, but I do know that if there is not a resolution, there’s going to be extreme tension over China’s surpluses. The period of sustained surpluses is no longer going to have the kind of tolerance from the rest of the world. Now, how is that going to work? That doesn’t mean that China has to suffer terrible consequences. It means that China has to reorient its economy towards domestic demand. The era of export-led growth, the era of growth fed by gigantic trade surpluses, cannot last in the world we are now entering.